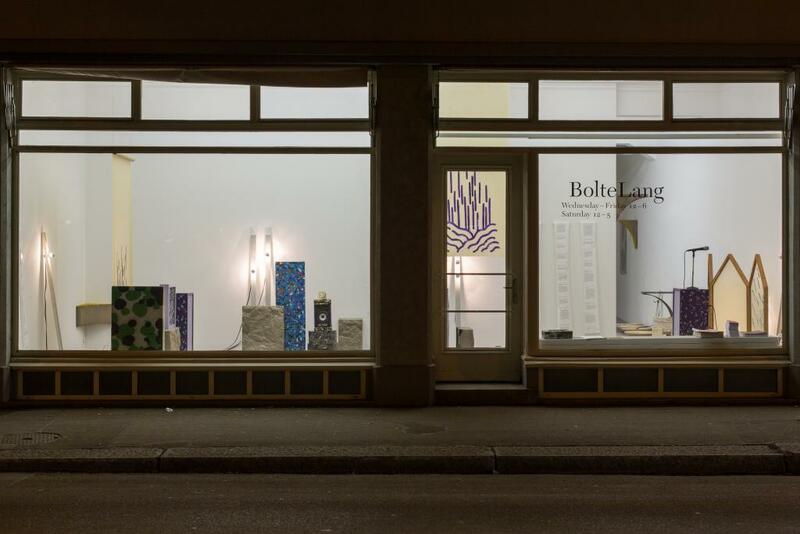 Asked by BolteLang to share her extensive knowledge in contemporary design, Jeanette Apitz, an experienced collector of limited edition design, invited internationally recognized designers Kueng Caputo and Clémence Seilles, as well as fine artist Patrick Hari, who is part of the gallery’s roster, to collaborate on Anyway part of it. The exhibition shows contemporary positions in both art and design and therewith aims to investigate the materiality and production process at the junction between the two disciplines and looks at how context informs the creative and conceptual approach. A common thread running through all practices is the reflection on material, a high level of craftsmanship, thoughtful execution and complexity in creation, vision and a narrative approach. The exhibition features a selection of commissioned one-of-a-kind pieces, site specific interventions, limited editions from previous series, sculptures and sound installations. It seeks to extend and to enrich the field of interdisciplinary and collective culture, as well as acting as a reminder that art and design can be imbedded with social responsibility. Building on a background in product design, Kueng Caputo’s and Clémence Seilles’s artistic practices produce objects and furniture, setting them into a collaborative and performative situation. They explore the context of the art gallery as a space for presentation and communication to expose a message to the public, using design as their language. In the front room, a selection of the designers’ latest works is arranged to create a platform for the performance of music. Speakers, acoustic panels, lightings, room dividers and stage props that have been designed by Kueng Caputo and Clémence Seilles form a stage – a stage without performers. Their absence, made obvious by an unused microphone, lends a voice to censored singers from all over the world claiming the freedom of musical expression. Loose typeface floor patterns by Clémence Seilles, lead into the second room to unfold a contemplative space where design directly interacts with the gallery architecture. Bass trap modular systems are embedded into the existing space, standing rock stools, travertine bowls and projecting module lights by Kueng Caputo, are arranged to form an inclusive vision of design in its environment. The third room hosts a work by artist Patrick Hari who approaches the overall theme of the show through his own artistic means. He proposes a structure titled Muppet Villa – Dreaming Alone Is A Boring Land that can be read as a domestic microcosmos providing for the most basic human needs. The artist hints at function and simultaneously denies any use, leading to a dead end. The sphere of human activity and the produced world are a central theme in Hari’s practice. Most important are relational contexts such as material – form – function – statements – consensus, which the artist attempts to get to the bottom of in connection to societal constellations. In this context Patrick Hari regularly comes in contact with design, a field which inspires and stimulates, especially since it mirrors our consumerist society’s deterministic helplessness more often than it prefers. Kueng Caputo would like to thank the material manufacture de Cavis for their support. The plaster foam objects were made possible be their knowhow and their committment.